Use Rewards for Dinosaur Roar! A classic rhyme full of funny dino opposites. Laugh louder than a T-Rex roars. This bestselling classic now has a FREE dino poster to make you chuckle even more! Dinosaur ROAR! Dinosaur squeak. Dinosaur fierce! Dinosaur meek. (Do you get the idea?) Dinosaur sweet. Dinosaur grumpy. Dinosaur spiky and dinosaur lumpy! Funny pictures. Simple rhymes. Whopping giggles. Dinos of every shape and size. Don’t let opposites confuse you. 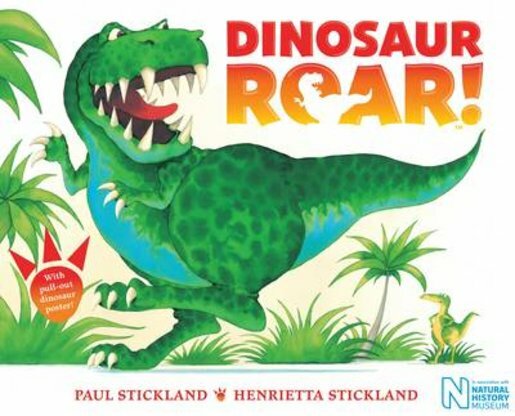 Laugh and learn with the dinosaurs!